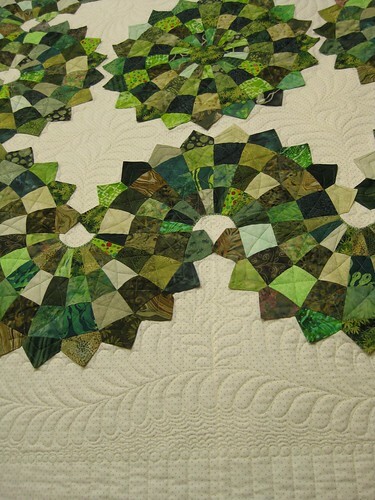 This quilt started with making the center Dresden Plate block as an experiment using Lurline’s tutorial. 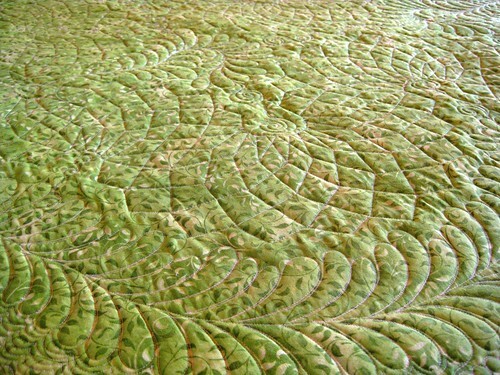 Then the idea of using partial Dresden Plates to make the curve going round the center developed into this completed quilt. 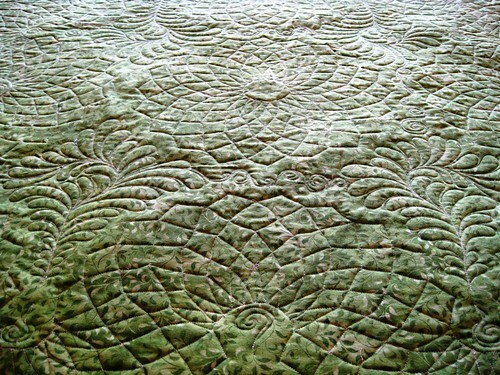 The straight line quilting on the plates makes an interesting pattern on the back of the quilt. This is absolutely amazing! WOW is all I can say! Beautiful! and looks so IRISH CLOVER’ish! You are so very talented! And my first thought was a Twisted Irish Chain…Another job, more than just well done! 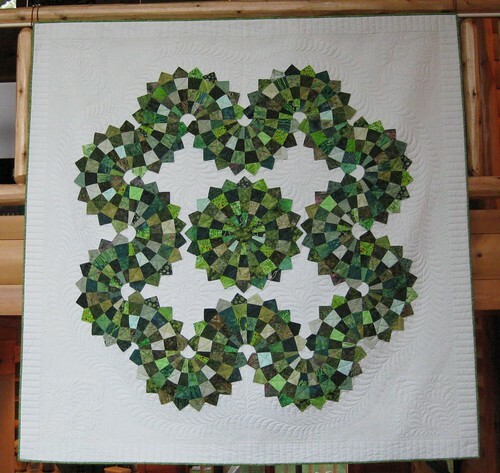 Wow, this is such an awesome quilt! Congrats on your finish! Wonderful quilt! You are so prolific and every one of them is just gorgeous. 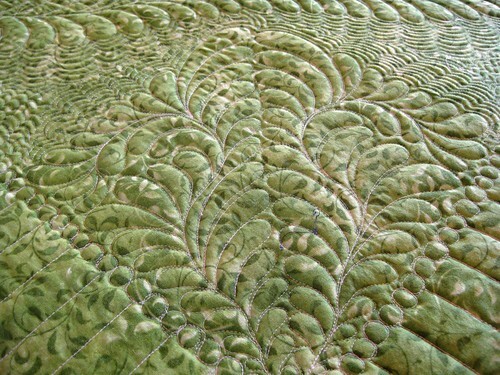 Your quilting is exquisite. 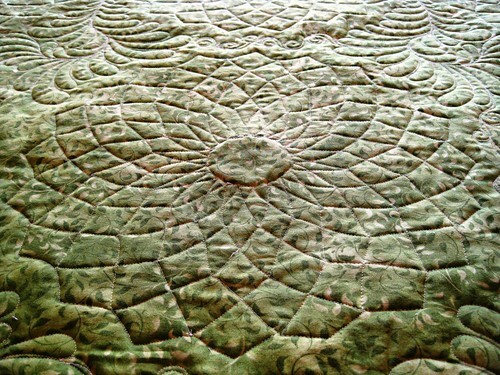 I enjoyed seeing you and all your quilts at the Appleseed show. Beautiful! 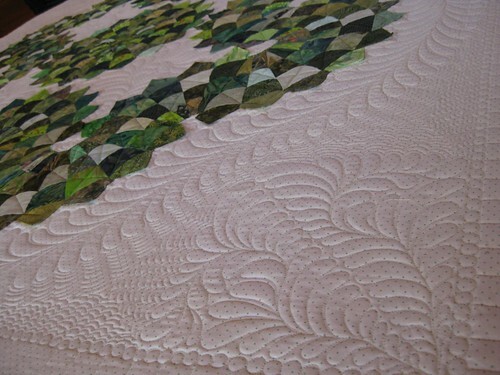 The gradation of colors really makes this quilt stand out. Happy St. Paddy’s Day to you, Irish lass! What a creative way to show off green/St Paddy’s Day and the joy of Spring! Great skill too! Thanks for sharing.